Accessing ducts in an architectural project is quite demanding, especially due to the diversity of applications. In fact, you need a proper access solution to meet these demands and here at Builders Sale, we take pride in being a solution provider when you need it the most. 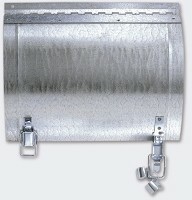 We offer a broad array of Duct Doors to meet innumerable needs of seamless access. 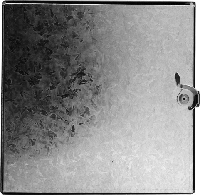 We in fact, take pride in presenting a uniquely featured collection of duct doors for round and rectangular doors. Moreover, we take the user experience and access control to its highest perfection by providing Walk Through Doors too. Well, we have access solutions for steel, aluminum, sheet metal, high-pressure, airtight, grease, fiberglass, and ductboard ducts. 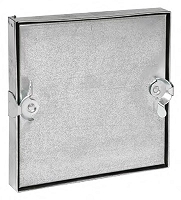 We provide these duct doors in numerous sizes making cleaning, monitoring, and maintenance of ducts simple like never before. 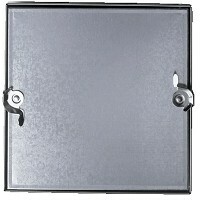 In addition, smart integration of these duct doors is easy with the precision engineering. We even offer a wide range of duct doors with self-adhesive backing for hassle-free installation. Come; get amazed in the wonderful world of premium duct doors manufactured by eminent players in the industry. With, Builders Sale, you will never disappoint of your decision to count on us. 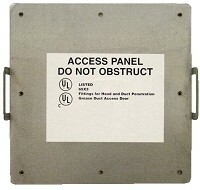 Acudor CD-5080 Insulated Duct Door No Hinge 20" x 20"
Acudor CD-5080 Insulated Duct Door No Hinge 24" x 24"
Acudor GDD Grease Duct Access Door 12" x 12"
Acudor GDD Grease Duct Access Door 12" x 20"
Acudor GDD Grease Duct Access Door 16" x 20"
Acudor GDD Grease Duct Access Door 20" x 20"
Acudor GDD Grease Duct Access Door 7" x 12"
Acudor GDD Grease Duct Access Door 7" x 20"
Acudor GDD Grease Duct Access Door 7" x 7"
Acudor RD-5090 Access Door for Round Duct 10" x 8"
Acudor RD-5090 Access Door for Round Duct 11" x 9"
Acudor RD-5090 Access Door for Round Duct 13" x 10"
Acudor RD-5090 Access Door for Round Duct 15" x 13"
Acudor RD-5090 Access Door for Round Duct 17" x 13"
Acudor RD-5090 Access Door for Round Duct 19" x 15"
Acudor RD-5090 Access Door for Round Duct 19" x 17"
Acudor RD-5090 Access Door for Round Duct 20" x 17"
Acudor RD-5090 Access Door for Round Duct 6" x 4"
Acudor RD-5090 Access Door for Round Duct 7" x 5"
Acudor RD-5090 Access Door for Round Duct 8" x 6"
Acudor RD-5090 Access Door for Round Duct 9" x 8"
Elmdor DT10 x10 Duct Access Doors DT Series 10" x 10"
Elmdor DT12 x12 Duct Access Doors DT Series 12" x 12"
Elmdor DT14 x14 Duct Access Doors DT Series 14" x 14"
Elmdor DT16 x16 Duct Access Doors DT Series 16" x 16"
Elmdor DT18 x18 Duct Access Doors DT Series 18" x 18"
Elmdor DT20 x20 Duct Access Doors DT Series 20" x 20"
Elmdor DT24 x24 Duct Access Doors DT Series 24" x 24"
Elmdor DT6 x 6 Duct Access Doors DT Series 6" x 6"
Elmdor DT8 x 8 Duct Access Doors DT Series 8" x 8"
Williams Brothers CAD 1400 Duct Doors 10" x 10"
Williams Brothers CAD 1400 Duct Doors 12" x 12"